Floating cooler is designed to hold 12 cans with ice. Get everyone’s attention with this. Great for the pool, lake, fishing, boating, float tubing. Anywhere there’s water or fun! It really floats! This is a must have for any boating shop with marine supplies. This bobber is every pool party most talked about item. Keep your pool guests refreshed order today. The unique look is an eye catcher in a pool or lake. Guarantee to be a hit like an old school bobber floating in a great lake. 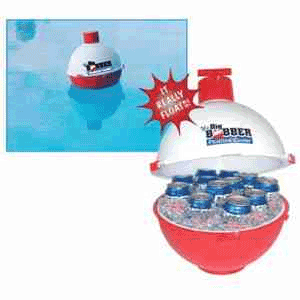 This bobber custom ice chest goes perfect on a hot summer day with your other cooler rafts and other pool raft. Enjoy at your team building ideas party. 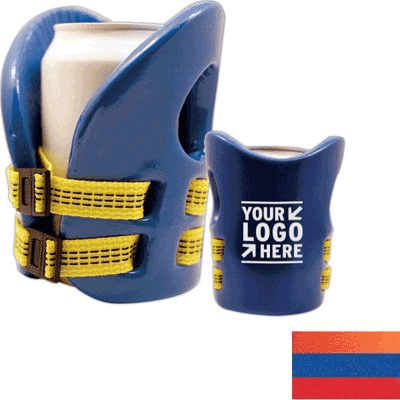 Keep your brand afloat by spreading your message on this scuba foam beverage holder with life vest design. This can koozie features a vinyl finish for a polished look, two standard yellow straps and black buckles. Floatation device for you cold drink. Great for boating, jet skiing, water tubing, surfing and other water activities. Many corporate merchandise products are sold for employees as a rewards for a job well done. The other percent of promotional products purchased are for branding your company name. The foldable bucket is convenient to carry and a great can save spacer on a boat. When bucket is half-full will stand firm. It is perfect for camping, fishing, boating, gardening, car washing, house cleaning, do-it-yourself, etc. Precision Graphics has a wide range of creative boating product for every boaters needed. 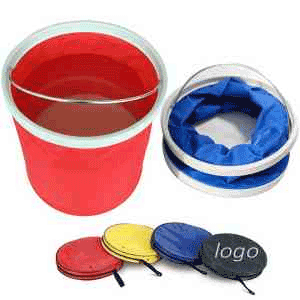 Mop and bucket is an important part of keeping your equipment looking good and lasting. At Precision Graphics we sell this bucket as storage bins for companies. 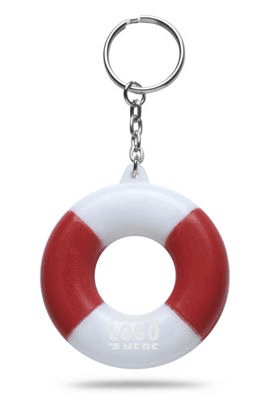 Toss this little life preserver keychain out to help clients notice you! Attached to a keyring, the miniature sized rescue accessory features plastic composition with a red and white paneled design. Plus, it actually floats! Add your company name or logo on this eye-catching device and use as a giveaway at tradeshow, conventions and fundraising events. Ideal for gift shops on the boardwalk, a cruise ship or at an island hotel resort.This promotional products phoenix is ideal for Arizona lakes.Buy this product will make your business match other industry leaders. 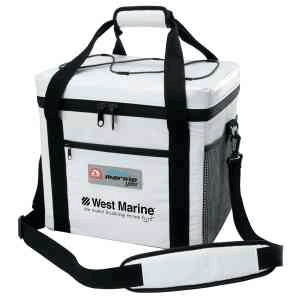 Igloo 24 can square Marine Ultra Cooler. Easy to clean, anti mildew and UV protective cooler bag, ultra thick insulation: 1.1″ thick extruded closed cell foam, compact size is great for boating, front pockets for sunglasses, cell phones and keys, clip down ends for added cold retention, leak resistant, easy to clean, antimicrobial liner, non-corrosive hardware made to survive marine conditions. Over thirty years in business the number one question asked is what is the definition of a leader? We have always felt is being the best in any industry is extreme custom satisfaction on every order. Our number one goal is customers! Ideal additions to theme park gift shops, these neck tote sun kits are proudly made in the USA! This waterproof, floating container comes complete with 2 sunscreen packets and 2 Blistex (R) packets and neck rope for easy carry. While you’re out on the boat, on the beach or working as a lifeguard this summertime kit will come in handy. 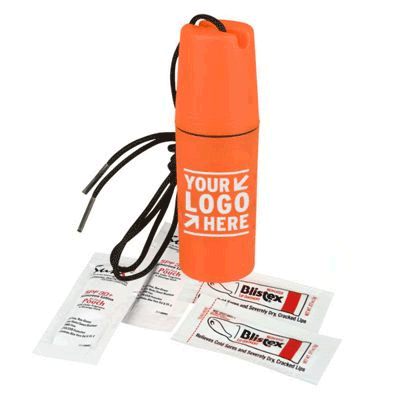 A creative promotional giveaway for businesses to hand out at tradeshows, sporting events and company picnics! At many trade show and events having a custom promotional gift is sometimes the only way to break the ice with all the people walking by your booth. This product has many practical items inside that can be that ice breaker you need. 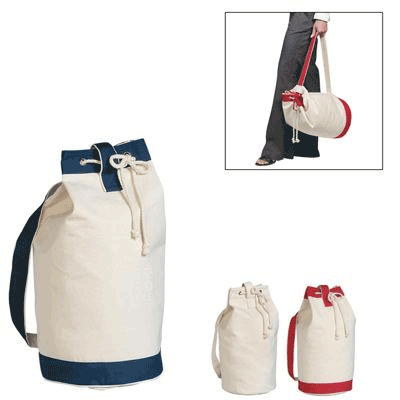 Heavy canvas cotton boat tote, 100% natural cotton nautical inspired tote with heavy cotton cord drawstring top and back pocket is great for boating, resorts, sports or travel. A great monogrammed gift for any boater. Have this item embroidered at Precision Graphics today. With industry leaders falling away in these down times Az Precision Graphics has always looked to improve our process and be more innovative. Floating keychain with beaded chain.Imprint Method Printed Imprint Color Black, Brown, Dark Blue, Dark Green, Dark Purple, Gold, Green, Orange, Purple, Red, Reflex Blue, Silver, White, Yellow Imprint Size2″ x 7/8. This is a boaters best purchase better than any key fob. 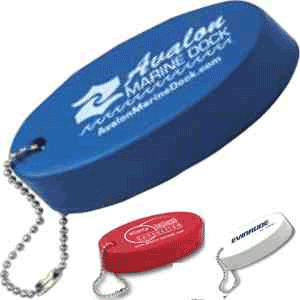 This floating flotation keychain is a must have around water for all boater. Once You add customization to this foam key chain everyone in your boating community will want one. 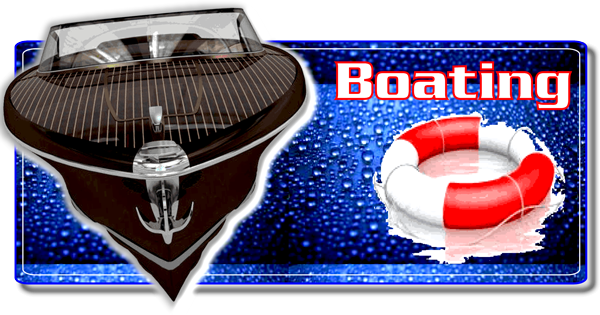 Another great boating & marine flotation products. Ideal additions to theme park gift shops, these first aid kit neck totes are larger to hold more! This large floating container comes complete with 6 adhesive and 5 junior bandages, 3 antiseptic towelettes, 1 extra-large bandage, 2 triple antibiotic ointment packets and a first aid card. 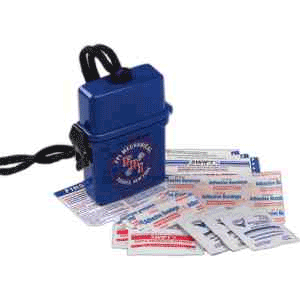 While you’re out on the boat, on the beach or working as a lifeguard this kit will come in handy. A creative giveaway to hand out at tradeshows and conventions!